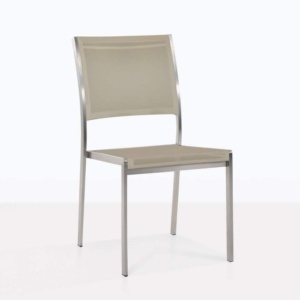 Comfortable Batyline® mesh and durable stainless steel make this white stacking dining chair perfect for any outdoor dining room. 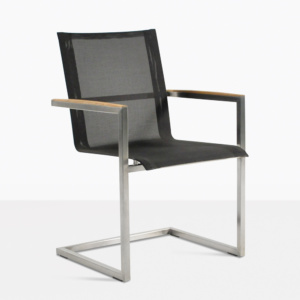 It includes Marine Grade #316 Stainless Steel and hints of A-grade teak! This pairs well with any of our A-grade teak dining tables. A cool, white wicker stacking chair that is built for comfort and versatility. 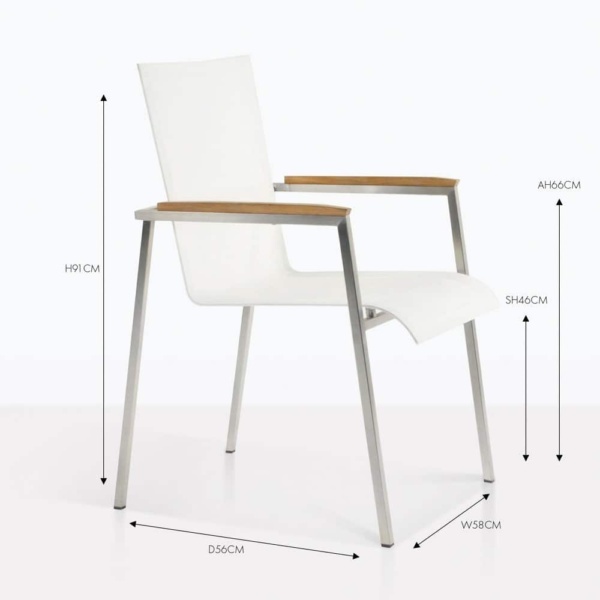 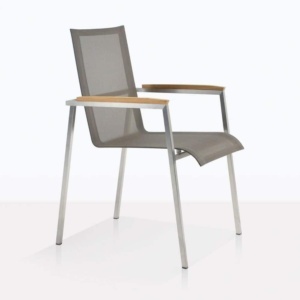 With a white Batyline seat surface and stainless steel (marine grade) frame, this outdoor dining chair is built for the long haul.